Dulles, VA – September 25, 2017 – SummitIG, Northern Virginia’s premier network solutions and bandwidth infrastructure provider, today announced the continued expansion of its dark fiber infrastructure throughout the region. The company is on track to complete 50 additional miles of dark fiber network in 2017, adding to its existing 500-mile network infrastructure with unique routes that meet the increasing customer demand. The company also expects to grow its 61 on-net buildings to 70 by the end of the year. SummitIG’s existing 500-mile fiber optic network, includes unique and densely populated infrastructure stretching from Data Center Alley in Loudoun County to Reston and greater Vienna and Tysons Corner commercial districts to developing data center areas of Prince William County. With its current expansion, SummitIG will extend new network infrastructure to fiber limited corridors of Arlington, Springfield and Lorton to provide unique fiber routes and value sets for its enterprise and federal business. The new network segments will add to SummitIG’s robust infrastructure utilizing 1728 count fiber optic cables to ensure availability. Northern Virginia is the largest data center market in the world. As expansion sites become more scarce, SummitIG’s offering becomes increasingly critical to meet the need for unique routes with greater control and flexibility. As a result, SummitIG continues to drive strong financial and operational metrics, with total revenue projected to increase by 50% in 2017. Dulles, Virginia-based SummitIG, LLC, provides custom network solutions and bandwidth infrastructure services using its dense and unique fiber-optic network located throughout key markets in Virginia. 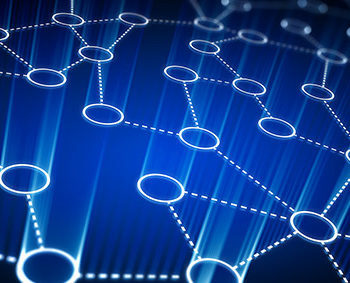 The company specializes in dark fiber connectivity for data center, carrier, government and enterprise customers, giving them strategic alternatives, unique routes, and greater flexibility to control their own networks. For more information about SummitIG, please visit www.summitig.com.